Fairfax County Funding NOT Cut! Due to your overwhelming support, the Board of Supervisors voted to NOT cut our funding this year! 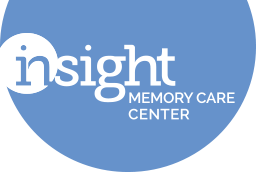 Everything from writing a letter to telling a neighbor about our program all helps support Insight Memory Care Center. Thank you for helping us out! This is wonderful news for Insight and the families we serve every day, however, we have been told that the cut is likely still forthcoming. The Board of Supervisors is delaying the cut to provide us time to plan and prepare. Knowing that this cut is imminent, we are going to have to rely on community support now more than ever to ensure Insight continues to grow and expand its programming to meet the increasing need for dementia care. "My mother was a gregarious, chatty person who always enjoyed friends until Alzheimer's stole her conversational skill and restricted her ability to make new friends. Not everyone is willing to learn to speak Alzheimer's. What a gift the center was!" There are 46,200 people living with Alzheimer's Disease and 150,000 unpaid caregivers in Northern Virginia. The need for dementia care only continues to grow, as it is estimated that over 62,000 individuals will be diagnosed by 2025 in Northern Virginia. Insight has developed a strategic plan to address this growing need. One of our goals includes opening a second center. Insight cannot do this on our own; we are grateful for the continued support of Fairfax County, and the support of community partners and funders to make our strategic direction vision a reality.